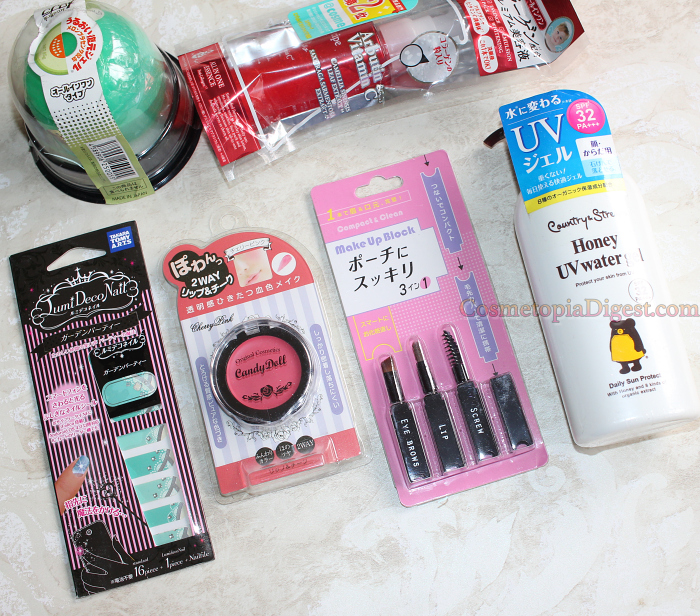 The No Makeup No Life Beauty Box from Japan has quickly shot up to the top of my favourite subscription boxes. At just $29.99 INCLUDING worldwide delivery, with everything inside full-sized, what's not to love about this beauty box? 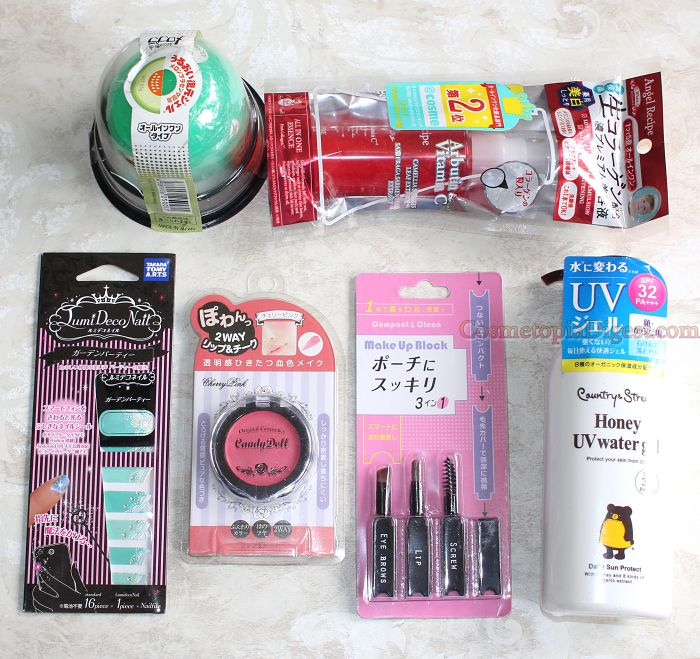 As I expand my Asian Beauty journey from Korea to Japan, this box is aiding me in discovering some brilliant cosmetics. It reminds me of Memebox in their heyday back in 2014, before they bit off far more than they could chew and decided that the world consisted of just the one country. The theme for the June 2017 NMNL box is "2-in-1 beauty products". I expected a lip and cheek tint, obviously. Scroll down for the unboxing of the No Makeup No Life Beauty Box for June 2017. Everything is full-sized. One makeup tool, one makeup item, one nail product, one skincare and one sunscreen product. Way to divide 'em up! The sixth product in there - on the top left corner - is a replacement product. Last month, the Melon All-In-One Gel leaked in transit, so NMNL sent me a replacement this month. My favourite product in this box. This contains Arbutin and Vitamin C. It can be used after cleansing, as an essence + serum. I've used it since Wednesday, and loved it so much so that I've incorporated it in my nightly routine. The clear gel sinks in very quickly with mild tingling. Summer is icumen in, so lhude stock SPF, cuccu. A very timely inclusion. Contains SBP32+. I scratched my head over how this one was a 2-in-1 product, before turning to the product card. It turns out that this gel can be used on both the face and the body, and performs as a sunscreen as well as a moisturiser. It smells faintly of honey and lemon, and also contains royal jelly, hyaluronic acid, rosemary, jojoba, and lavender. 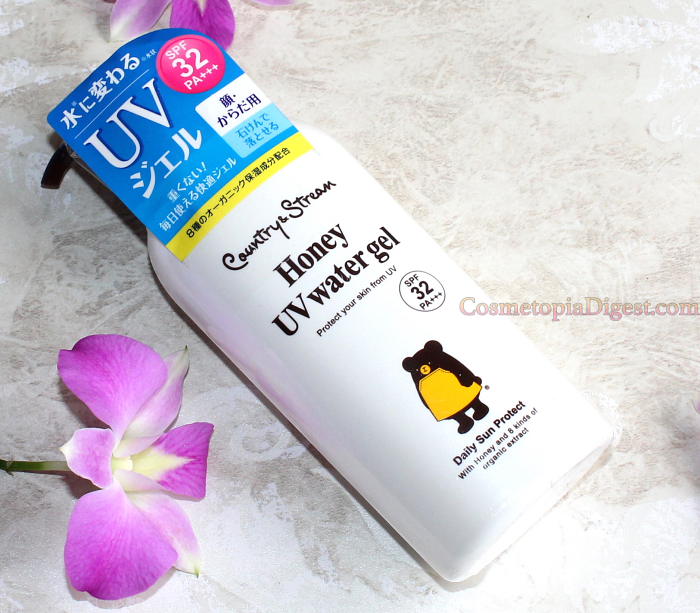 The product is beautifully lightweight and silky, and sinks in clear, far sooner than any SPF product I've come across. This was the multi-tasker that I expected. Sadly, in a shade that I know will not suit me. Goes into the giveaway box. Anyone else feels that all lip-and-cheek multitaskers work better as lip products than as cheek products? A set of nail wraps and a mini nail file. I was super-excited about these after reading that one of the decals (the one on the extreme left below) lights up when you use an electronic device that emits NFC waves. But I've tried it at a cash point with half a dozen cards, with my phone, Android tablet, and an ID card swiping machine. I found the little chip-thing where the optic fibres must go, but nothing I do works. The thing simply does NOT light up. Boo! Hiss! Sephora has a similar tool set. I prefer theirs to this one, because the former contains a crease brush, a brow brush and a smudger. 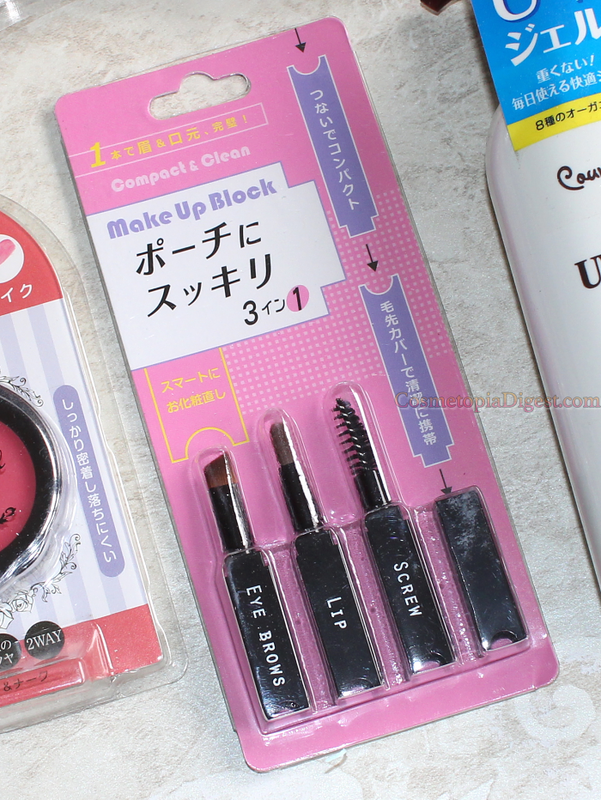 The Japanese one contains a spoolie, a brow brush, and a lip brush. It is also less sturdy. 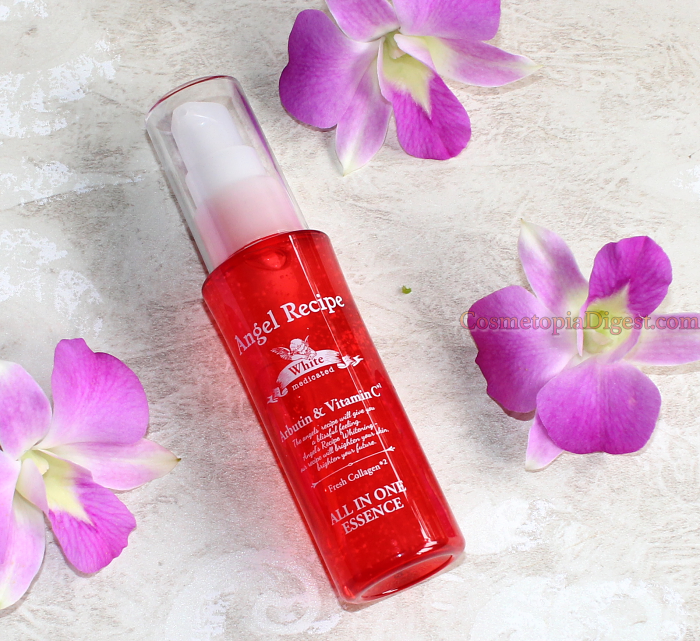 The All In One Essence is a huge win for me, and I also love the silky light sunscreen. A huge boo to the nail wraps, simply because they did not light up as promised, though I admit they are very pretty. After all the hype, I did want them to do what they claimed. If they had not said that one of the decals would light up, I would have rated this an excellent box. For those who want to see the products "in action", you'll have to wait till I've tested them out for a reasonable amount of time! NMNL boxes cost $29.99 a month, INCLUSIVE of international delivery, which is a very good deal. Products are always full-sized, and long-term subscriptions cost a bit less. To get your NMNL box, go here. In July, there will be a UV Shield CC Cream and a body pack, among other things. I'm excited about the latter and cannot wait to see the rest of the contents.